There is a fine boat launch ramp at Fish Creek. It is located across from site 31 on First Pond just before the bridge. There is no cost for using the park launch. Unfortunately, there is no parking available right at the boat launch. Youll need to ensure you have someone available to drive your vehicle and trailers back to your campsite. Boat trailers can be store on your site, or at designated park areas including the park lot near the beach day use area. 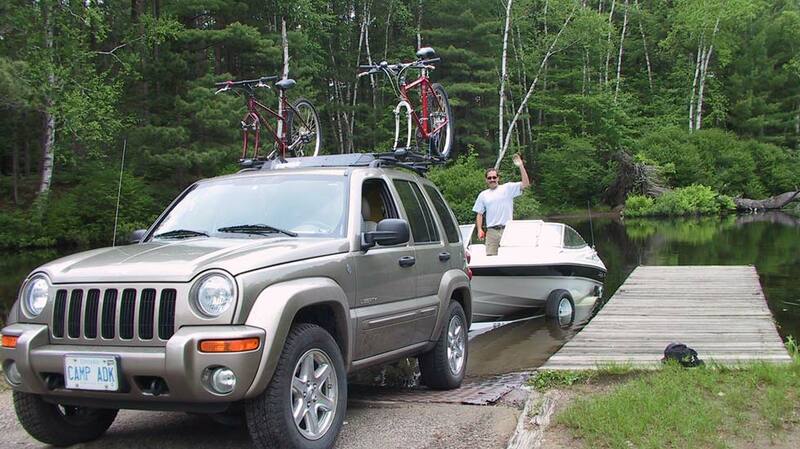 If your boat is too large or too high to get under the bridge over the creek, you should instead launch your boat either from Donaldson's ramp which is located by the Trading Post across the street, or at the State launch on Upper Saranac. 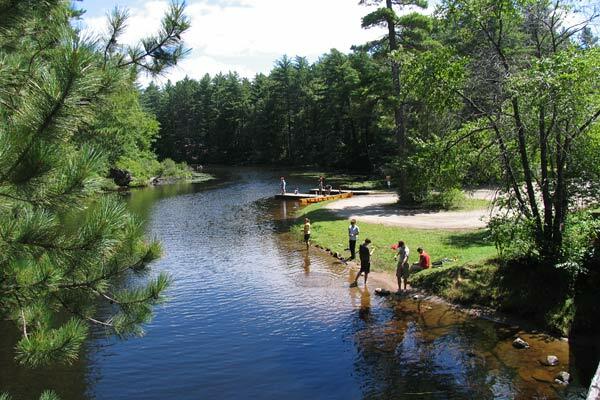 The State launch is located 5 minutes north of Fish Creek off Route 30 on County Route 46 (Saranac Inn). There is no cost to launch here. Once you put in you can navigate south on Upper Saranac to get back to Fish Creek via the channel between Fish Creek Bay and Lower Fish Creek Pond.